Robotics 1.0, 2.0 and 3.0 – LET'S TALK ROBOTS! 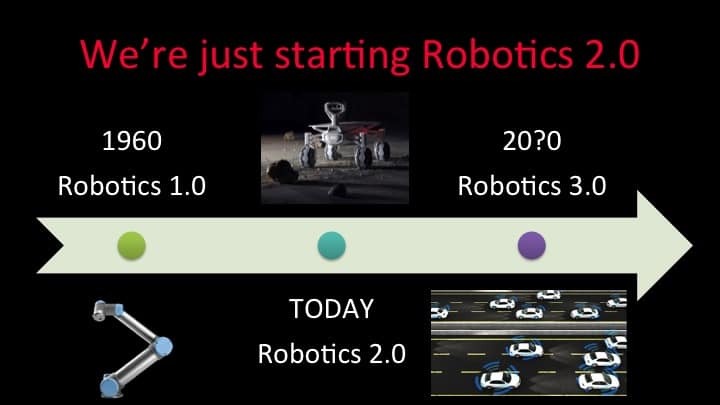 After fifty years of Robotics 1.0, we’re now seeing an array of entirely new robotics technologies entering the world. From the closed factories of Robotics 1.0 to our everyday interactions with Robotics 2.0, what’s real, what’s going to change, and what will the future hold with Robotics 3.0.